← Do Movers Disassemble Beds and Furniture? Do Movers Charge by the Hour? Do movers charge by the hour? The answer depends on whether the move is local or long-distance. Moving companies usually charge an hourly rate for local moves. This includes packing time, loading time and travel time. The hourly rate for moving companies is typically between $70 and $130. This depends on a few things, including the number of movers needed and the area you live in. As you might expect, an hourly rate for a move in New York City will be higher than the rate in Oklahoma City. 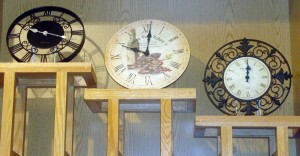 A word of caution on travel time: ask the moving company during your estimate exactly when travel time begins. Most movers, including Garrett’s, charge Lot-to-Lot travel time. This means we don’t start charging the hourly rate until we get to your home and begin your moving job. Some movers charge you for the time it takes for them to get from their headquarters to your home, so it’s a good idea to double check on this. Since local moves are charged hourly, you can cut down on the cost of a local move by packing as much as you can beforehand, especially clothing and smaller items. Unlike local moves, movers will almost always charge a flat rate for long-distance moves based primarily on weight and mileage. The cost also depends on whether or not you’ll need packing and unpacking, as well as seasonal factors like gas prices. In addition, there may be extra charges if there are items that need to be handled with extreme care, such as pianos or antiques. There may also be charges if the movers have to travel a long distance between your home and the truck. For example, this may apply if you are moving from a high-rise apartment, which would require several trips in the elevator. This moving cost calculator can give you a rough idea of what a long-distance move may cost. However, it’s highly recommended that you get an in-person estimate for maximum accuracy. 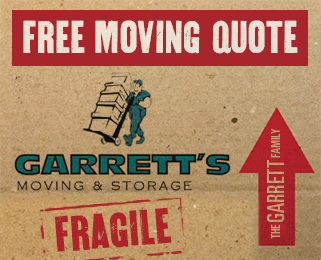 Garrett’s Moving and Storage performs both local and long distance moves nationwide. For a completely free and accurate moving consultation, fill out our contact form or give us a call at 972-487-5843. We’ll get back in touch with you within 24-48 hours.